Karoondah 6 is a wonderful double storey modern apartment that has been decorated tastefully and offers excellent views from all bedrooms and particularly the lounge. 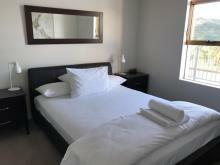 This luxury apartment has a large open plan designed living area 3 bedrooms, 2 bathrooms and its own private balcony. 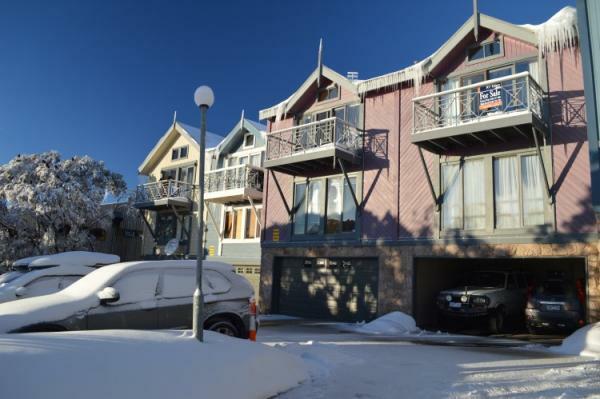 There is a private gated parking spot on your door step and a heated out door spa nestled in the snow ready for you to ease into after a fun day on the slopes. 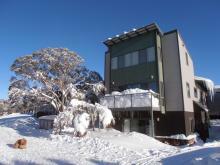 Karoondah 7 is a beautiful double storey modern apartment that has amazing panoramic views up Swindlers Valley and across the Mt Hotham Ski Resort. This luxury apartment offers two spacious living areas, 3 bedrooms, 3 bathrooms (one with spa bath) and its own private balconies. 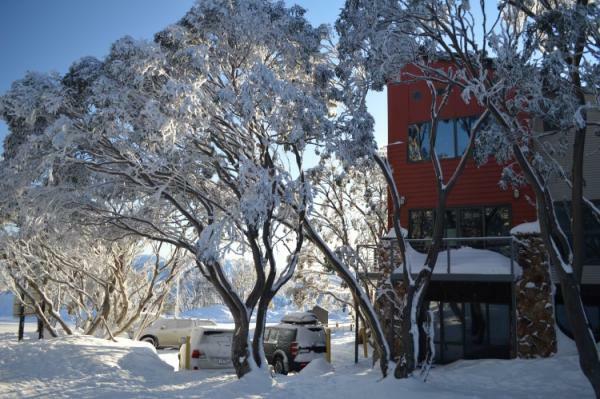 There is a private gated parking spot on your door step and a heated out door spa nestled in the snow ready for you to ease into after a fun day skiing. Lachen Frosty Drop is a luxury two story apartment situated in the Davenport Village area. 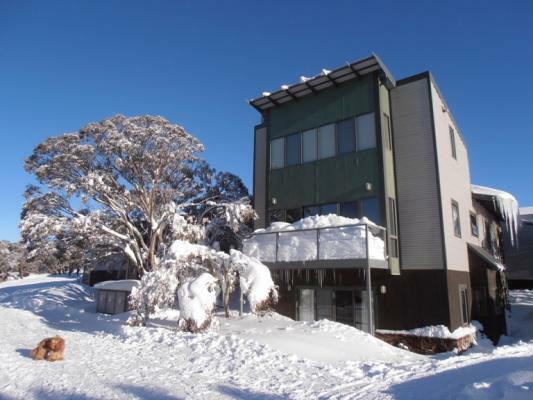 This apartment is located in a sheltered snow gum area perfect for children to play safely and has excellent panoramic views over the Dargo High Plains. 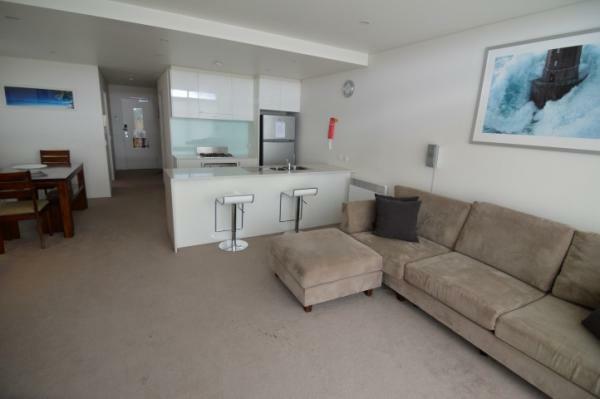 These is a large open plan designed living area upstairs with its own private balcony and 3 bedrooms, 3 bathrooms down stairs including one private parking space located close to the apartment. 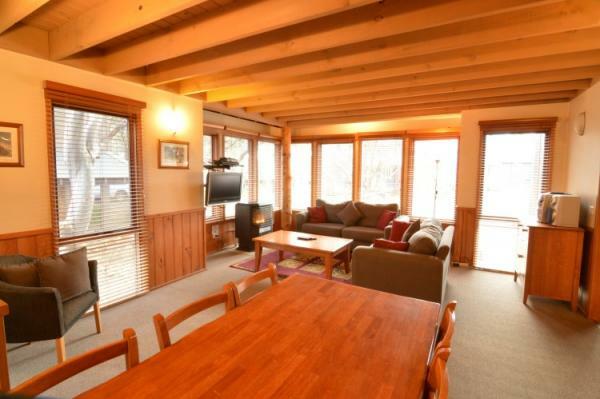 This is a perfect apartment for two families or a group of friends to share. 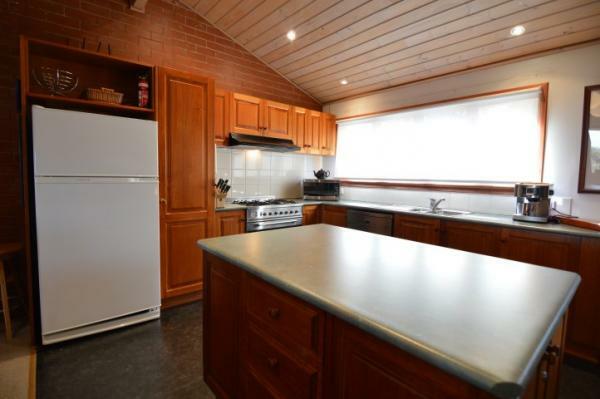 Built in 2006, this apartment building is located in the Davenport area and is only a short ride on the free village shuttle bus to many restaurants, shops and cafes or the village centre. Spaciously designed, each of these apartments also features its own private balcony, heated flooring in the bathrooms and unsurpassed views. Moritz 8 has one undercover car parking space located on the lowest level of the complex with direct indoor access up to your apartment.